With full drum line pull of 4,500 to 22,00 lbs available, these units are perfect for many industrial, mining and oil field applications. This series of Jeamar winches are constructed with heavy duty welded steel frames and feature sandblasted and painted guarding. 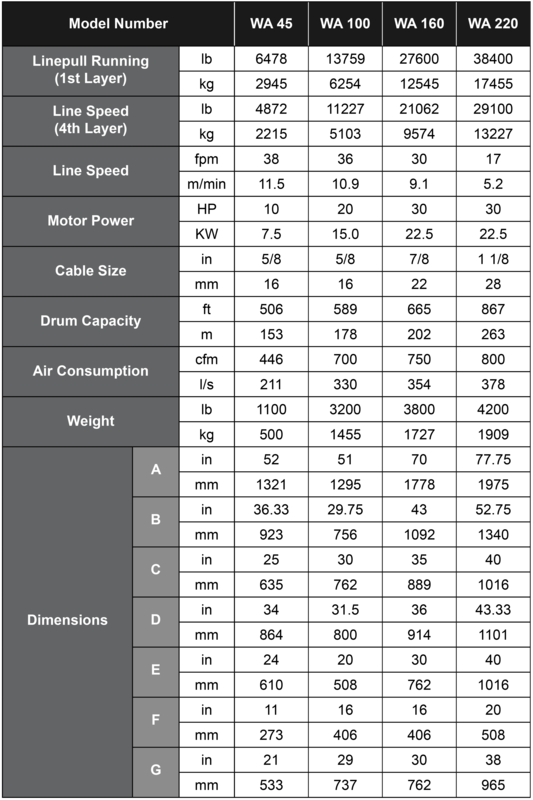 The WA Series options include automatic band brakes, grooved and divided drums, air preparation packages, drum guards, remote pendant controls and mufflers. Industrial piston type air motors ensure hours of trouble free operation. 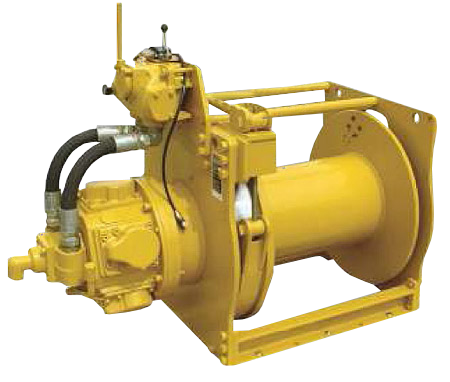 The WA Series winches feature automatic disc type holding brakes and manual band type holding brakes. They have integral proportional directional control valves designed for harsh environments.